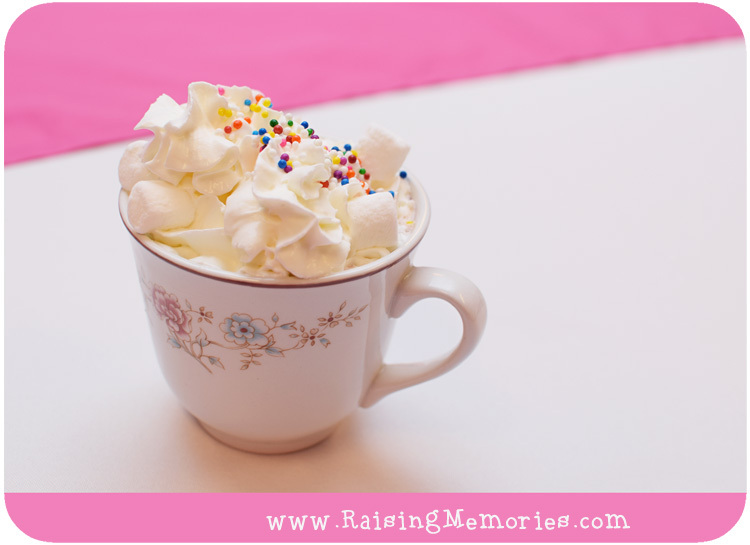 For one of our recent girls activity days, we had a hot chocolate bar/tea party for the purpose of helping our girls to learn about manners and courtesy in a fun way. Some of the ideas we used could be used for any party, so I thought it would be a good one to share with you here! 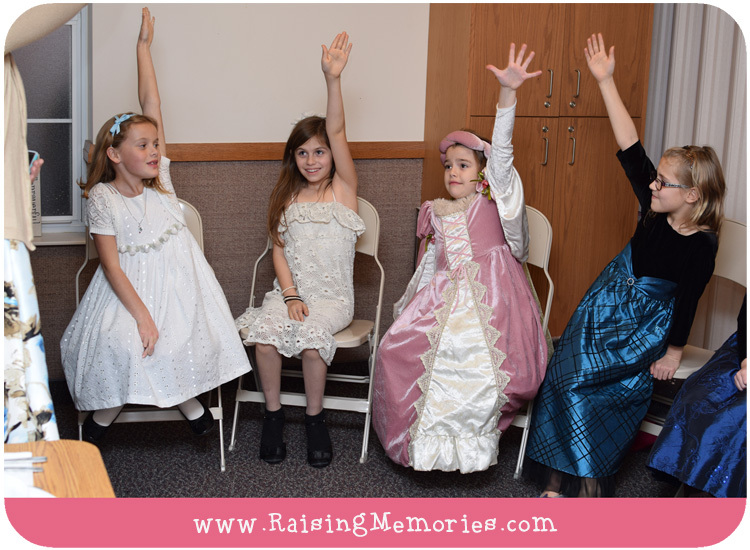 We invited the girls to come dressed in princess costumes or fancy church dresses. We had a bunch of cute little sandwiches and treats and a fun hot chocolate bar, preceded by a hands-on table setting lesson. It was so much fun! We handed out a special invitation to the girls at church on a Sunday preceding the activity and had our best turnout for our activities so far because a lot of the girls brought friends. 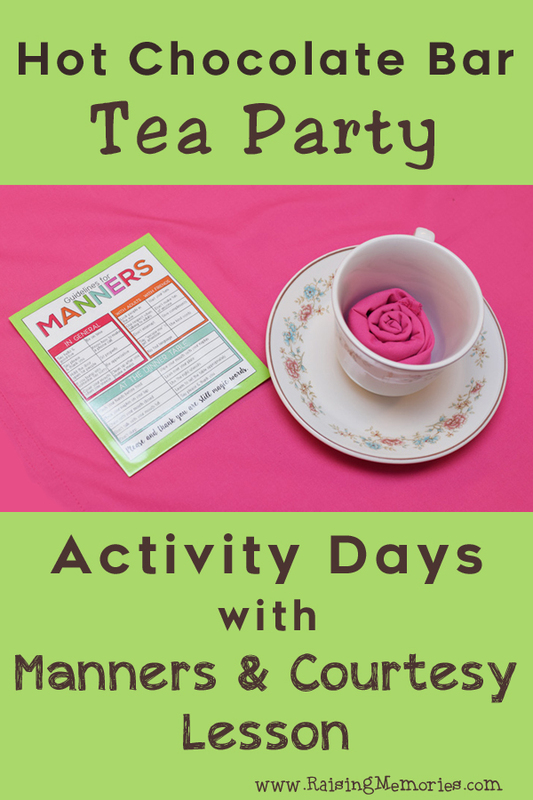 We had a discussion about manners and all of our little princesses were eager to participate! My favourite part of this was the hands-on part. A few girls volunteered to show us how to properly set a table and you should have seen some of the creative arrangements they came up with! Next it was time for our hot chocolate "tea party". 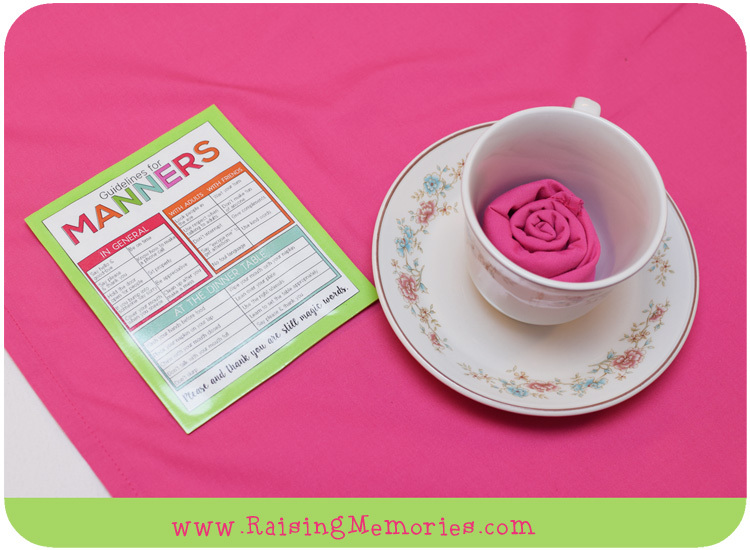 The round tables were set with white table cloths and bright pink table runners. 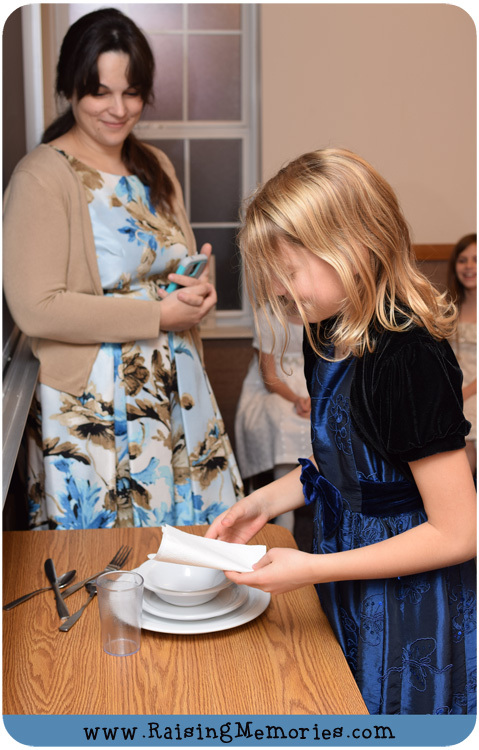 Each girl received a napkin, folded into a rose, and a magnetic handout with reminders on it about the manners we discussed. You can find the printable on this website. The tables were set with tea cups and saucers that I found at a second hand store. 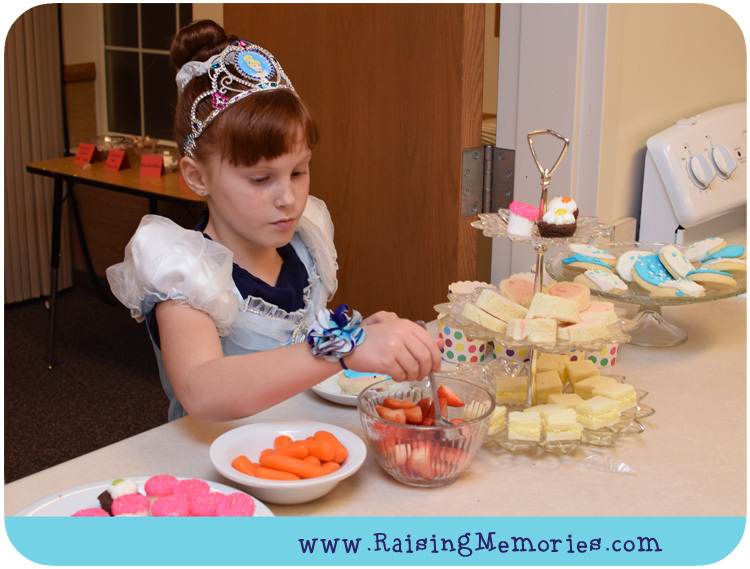 For our little tea party snacks, we had baby carrots, strawberries, small sandwiches, pinwheel sandwiches, and little cups with fish crackers in them. We had little cookies, 2-bite brownies, and large marshmallows dipped in frosting & sprinkles. Everything was so pretty and delicious! Oh wow such a great idea for a party, and it helps them learn the basics, I love it!! That looks like a lot of fun - and they get to learn something too! Wonderful! Such a fun idea! I remember doing similar when I was a kid with girl guides. 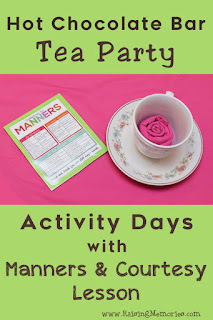 What a great idea to make "manners" into a fun game! I can't see my boys playing this game, but who knows!! Looks like such a fun party. This is such a fun thing to do with young girls. Great idea! I bet they loved it and learnt lots. What a cute and fun idea--my daughter would love something like this!